Counter-Strike Source > cs go legend status? I hope one day every big player in cs could get a legend status. Get recognized and their names put on some legend list. Even players form 1.6 and source. Like in other sports. I think it would be a nice way to show respect to ex-players. I hope they get added to the list with the best quotes they've said in their career: fallen: "Only pussies try to win no matter what"
no it was shroud you dummy! Gordon from Half life...definitely him ! You all are very wrong, it was allu when he was playing on NIP. fallen: "we always play to win no matter what"
So you think astralis doesnt deserve a legend status? Yeah i know. But like give them a official legend status. Have their names put on a stadium on some kind of a list. You know like a hall of fame thing. are you talking about marketing ? there is not real point in doing that why would somebody want to see some cs players when they came to stadium to watch football ? I think my english was pretty bad there. Meant like a cs go tournament stadium place. Yeah your probably right. Just thought it would be a cool thing. Astralis players wont be legends in 10 years that was the point of the thread, HoF type of list of former pro players. Like a Hall of Fame? gla1ve? 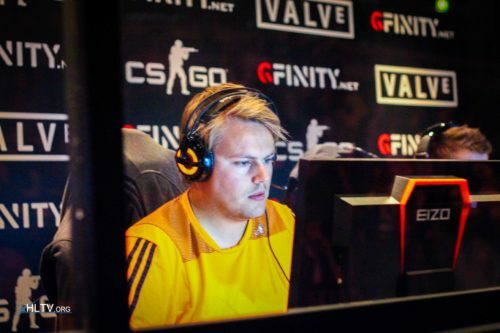 if him why not dupreeh, device and xyp? +1 In dota for example at base u can find aegis of champions where listed all teams and players who won int.